So! I found this image of Emmanuelle Alt on Pinterest the other day and I had just been thinking to myself that I haven't really made that many footwear purchases this season, especially in light of the fact that I recently flogged 5 pairs of boots on eBay! I have a few pairs of trainers (Superga, Adidas, Converse and New Balance), I'm looking forward to getting the Brogues out again, I have Chelsea boots, biker boots and some Office Ash Jalouse look-alikes, but I don't have anything dressy-ish for a ladies lunch say. Then I saw this picture and the hunt was on. This is what a bit of research came up with! 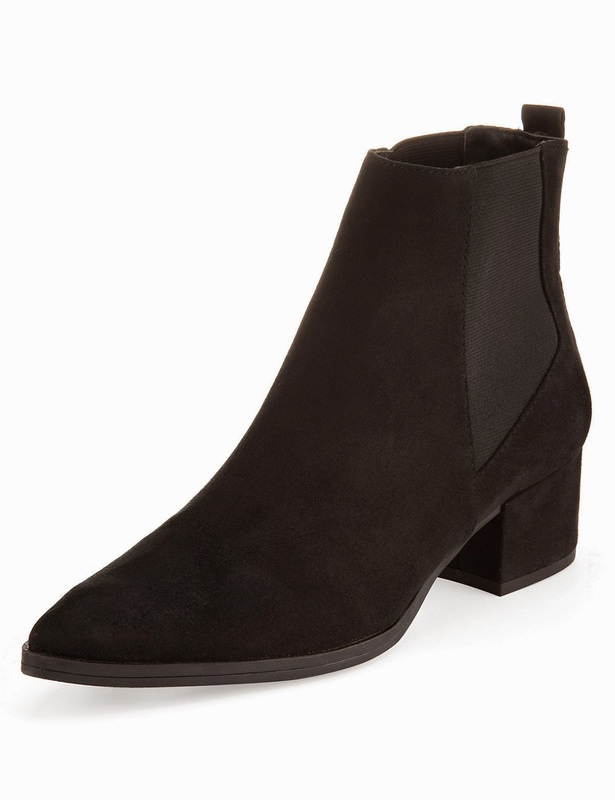 Good old Marks and Spencer came up trumps with these Limited Edition faux suede boots with Insolia for £39.50! For me these are the perfect height heel and of course the Insolia makes them perfectly comfy. I have to say the first time I wore these it was raining and considering it was raining they fared really well.....no soggy feet!! Now for the rest of the style steal! This Wallis military coat would be the perfect alternative to the designer version that the French Vogue editor is sporting above! Complete the look with these ASOS Ridley acid wash ankle grazer. I love this look, it's one you are likely to see me in a lot! I did actually wear this to take my niece (sis was working) on a tour of what will hopefully be her new school. I did a quick change of coat when I got home as I was having a belated birthday lunch with some of my bestie's! We went to The Pig near Bath and I can't recommend the place highly enough......in fact I am off there again next week to treat my lovely mum to lunch! And finally Wednesday's outfit. It's about this time of year when my coat obsession kicks in....this is my 3rd coat purchase already this season. I fear there will be more as my next post is all about a few high street bargain statement coats I have come across....bound to result in another coat purchase!! 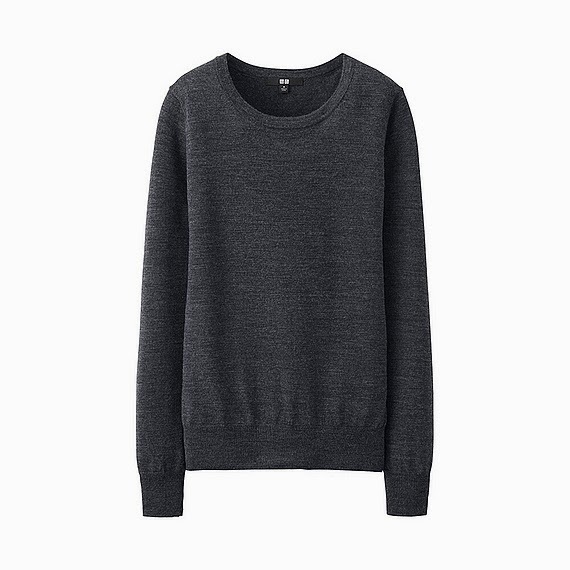 This little beauty is from Mango, sadly not in the current 30% off promotion. Would love to hear your thoughts on my style steal, I love reading and responding to your comments as always! Be back soon with that round-up of fab high street statement coats! I really love the pointed toe on the boots, very nice! And of course, every outfit you've put together for this post. You've got a great urban look I love. Fab boots - love them on you. I'm still trying to talk myself out of buying any more but you make them look really good - I could be swayed! And I haven't fared that well with coats this year - I have bought a ton of them and returned a ton of them. I hope my luck is going to change soon! You are doing so well with your coat purchases! I just love the leopard one on you. Also can't wait to try The Pig! I am off to check out M and S as soon as I get half a chance. Those boots are stand out. I adore your leopard print coat. My college friend has bailed on me so I will have to postpone my trip to your neck of the woods. The PIg will have to wait. But I'm sure it'll be worth the wait.